If you are in the U.S. and absolutely can not wait another second to purchase the Fall Color Collection, you are in luck! 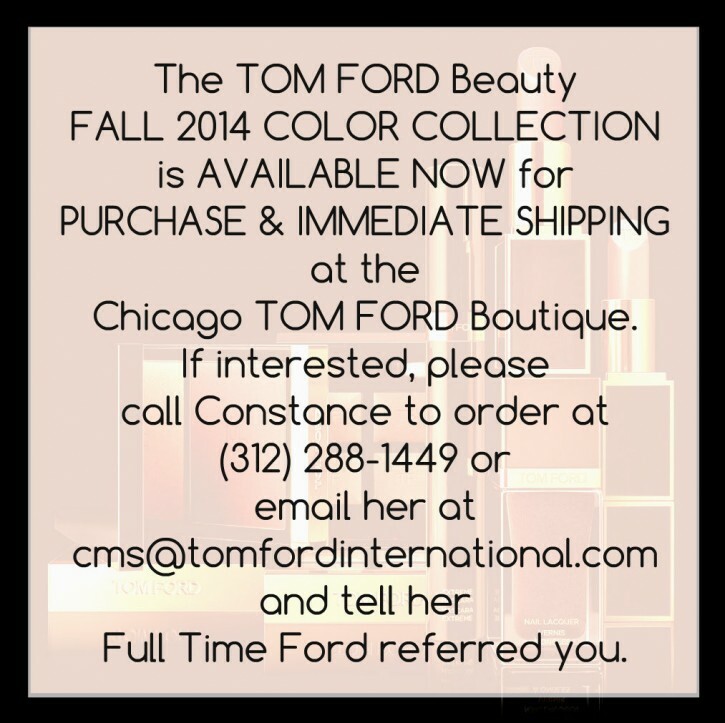 The Chicago TOM FORD Boutique received their shipment early and it is available TODAY for purchase. As expected, quantities are VERY limited, so don’t wait too long to get yours! Happy Shopping!